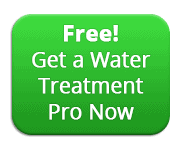 Expert advice about salt-free water conditioning systems, including what they are and when you might want to choose one. Includes discussion of electronic or magnetic water softeners. 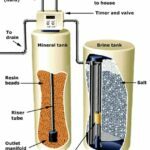 Salt-free water softener utilizes chelation technology. Some people are concerned about the health effects of the sodium that softeners put in water. Be aware that most health concerns are over intake of sodium chloride, not the sodium bicarbonate that results from softening water. In addition, opinions expressed in the New England Journal of Medicine minimize concerns about the amount of salt introduced by water softeners. One option is to bypass one or more cold water faucets in the house that are used for drinking water. 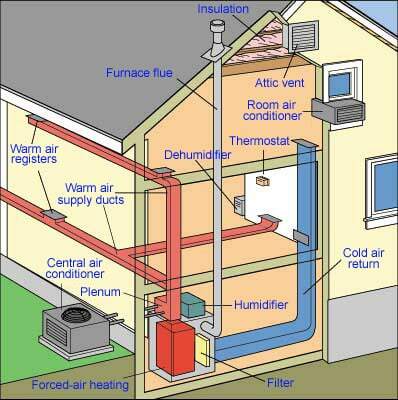 Some people connect a standard unit only to the hot water side of the water supply system; unfortunately, with this option, you forfeit some of the benefits of having soft water in the shower, laundry, and wherever else cold water is mixed with hot since only about half of the water is softened. Another option is to install a reverse-osmosis water filter that will remove salt from drinking water. 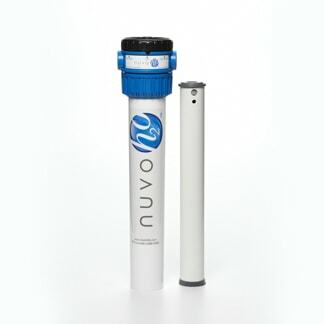 For more about water filters, see Types of Water Filters. Although the amount of sodium added is minimal compared to a healthy person’s normal diet, people who have been advised by a doctor to reduce sodium intake may want to consider a unit that regenerates with a potassium-chloride salt substitute rather than sodium. With chelation, the metal ions that cause hard water, primarily magnesium and calcium, are bound to a chelating agent. As a result, these minerals are suspended in the water. 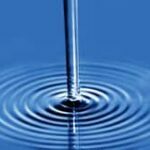 Water softeners that utilize this technology are actually descalers—they don’t reduce the hard water minerals but rather keep minerals from being deposited as scale to the surfaces of water-using appliances and pipes through which the water passes. Scale can build up where water sits, however, such as in a water heater. 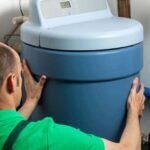 The general consensus is that this type of water treatment is better than no water softener at all, but not as effective as conventional water softening. To buy this type of water softener online at Amazon.com, please see Salt-Free Water Softeners. This video gives you a very clear description of what you can expect with a salt-free water conditioner versus a salt-based water softener. A more radical—and controversial—option is an electronic or magnetic water softener or descaler. According to manufacturers, this plug-in device, which clips onto the incoming pipe, sets up a magnetic field that changes the electromagnetic properties of the calcium-carbonate minerals so they are repelled by pipes and each other. This electronic descaler is reputed to effectively and inexpensively improve water quality. You be the judge! A study commissioned by the Water Quality Association, however, found that, when such devices were tested against conventional ion-exchange softeners and against claims made by the manufacturers, no significant physical or chemical changes in the water occurred and the units did not reduce scale formation. Despite the effectiveness claims made by manufacturers of these devices, buyers should beware. Then again, some users say they work. You can check out the reviews on Amazon, one of the places where they’re sold. 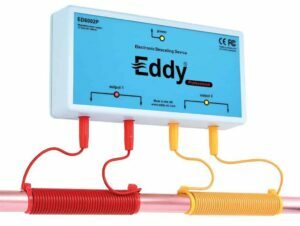 If you would like to try out one of these, please check out the Eddy Electronic Water Descaler shown here—cost is about $200. Note that the manufacturer offers a 12-month money-back guarantee. If you do try it out, please send us your feedback or comment in the forum at the bottom of this page.